The factors mentioned in that article mainly focus on the study of exteriors that have an impact on the design of interiors. 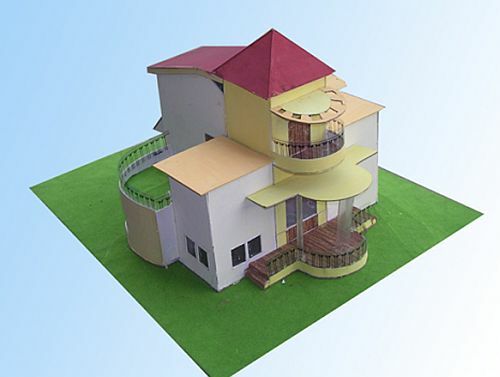 Recently there has been a great rise in demand for Sustainable Architecture concept. There are various architectural styles and concepts that you have to keep in mind while going on a case study. The answer to that would be, building materials contribute to around 70% of the total cost of the project. Cutting down on the project cost is one big responsibility of the architect which the client assumes the Architect understands. Now let us go ahead with listing out all the things that we need to do when on a case study. Now we will proceed with the study of interiors analyzing the various themes for different rooms in the house. These are the study elements on a broader spectrum. After we are done analyzing the above elements, we must go ahead with our detailed analysis of the place wherein our scope of study would include the use of different materials to get desired effects. After we are done studying the exteriors and the interiors of the existing structure, you have a list in hand which you could use to design your own Artist House. This list could be used as your design considerations list which you need to keep in mind at every stage of design; because these considerations are interlinked and interdependent which means that the change in one would have a considerable effect on the other. In my next article, I will discuss the design process for the design of an Artist’s House/Luxurious Villa. This entry was posted by Benzu JK on December 22, 2010, 8:36 am and is filed under Case Studies. You can follow any responses to this entry through RSS 2.0. Very nice and objective article! good articles all b.arch students must read it. Thank you so much Gaurav. I am sure it will be of help to all the Architecture students. and my project is to design an artist house, and this article about the case study was really helpful, and i would like to read the process of the design, so where can I find it? ?